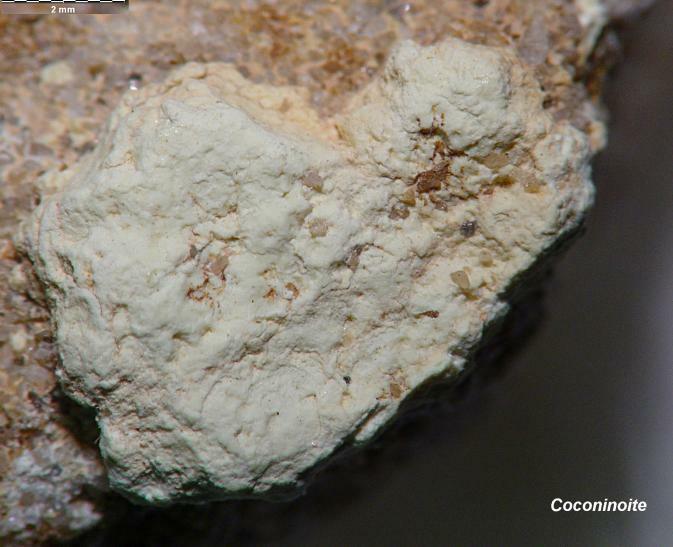 Comments: Dull, putty-colored clay-like mass of coconinoite on a sandstone matrix. Location: Jomas mine, White Canyon, San Juan County, Utah, USA. Scale: Picture size 1.2 cm.